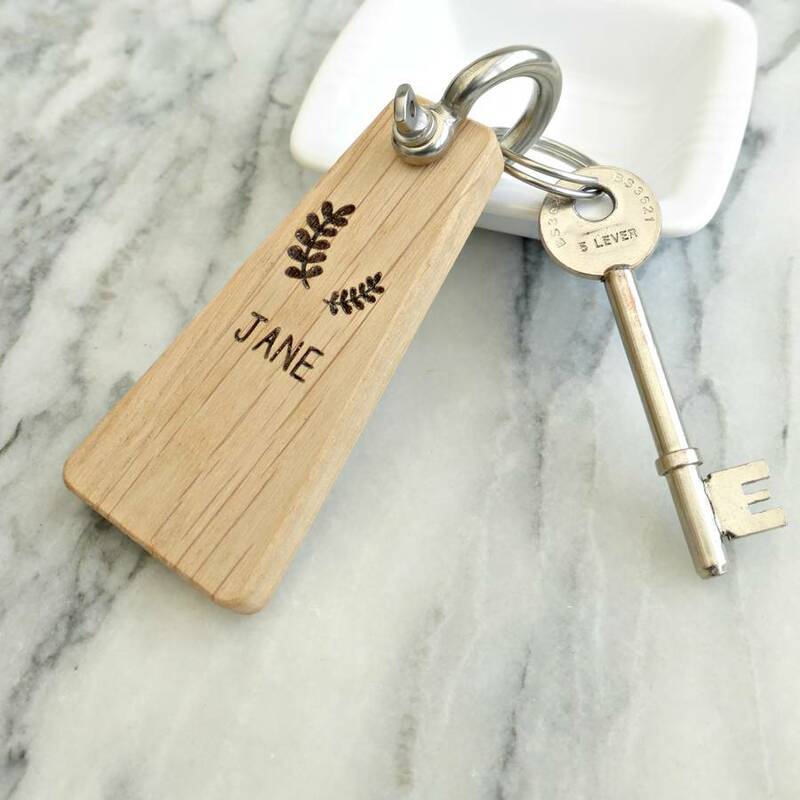 A personalised wooden keyring featuring our botanical design and a name of your choice. 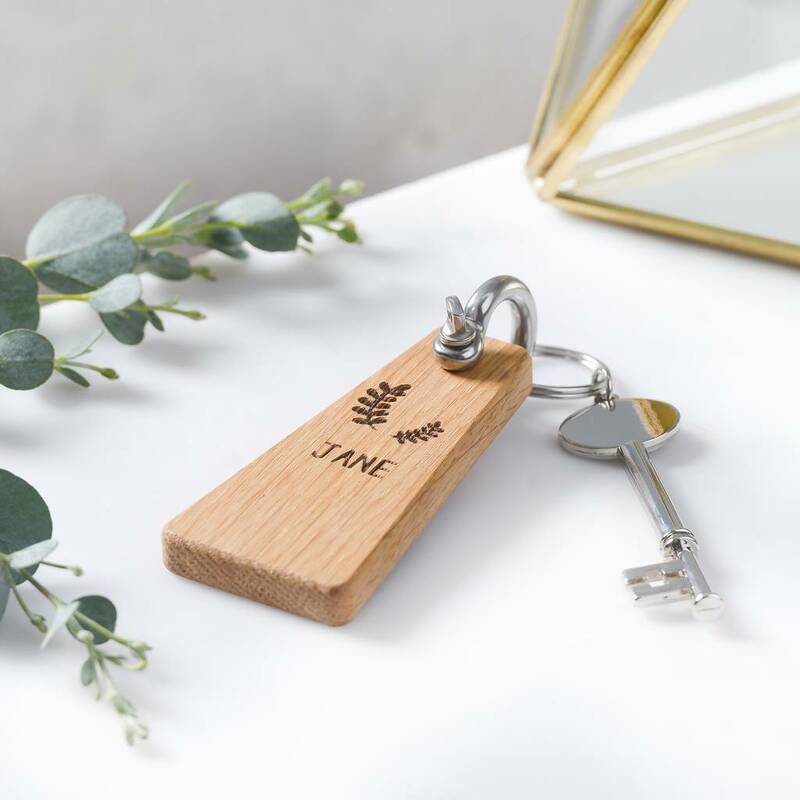 This personalised wooden keyring makes a super gift and our simple botanical design makes it suitable for all occasions. Our wooden keyrings are handmade in our New Forest studio from solid oak and personalised with your message to make an extra special gift. Simply enter the wording that you would like to have on your keyring and we will do the rest to create a personalised and functional gift. Perfect for friends and family, as wedding favours or gifts for the wedding party. A Stainless steel shackle will also be provided and will be packaged in a small bag along with your keyring. Simply screw through the hole to attach.